Property composed of main house and outbuilding, 12 - 17 people, 9 room/s, 6 bedroom/s, 5 bathroom/s, approximately 205 m², 2 floor/s, restored 2018. Furnishing: good, pleasant, friendly, bright, with some antique furnishings, tiled floor, laminate floor. Equipment: satellite TV (3 TV(s)); internet access Wi-Fi (included); combined heating/air conditioning (not available in all rooms). The agent describes this villa as an ideal holiday rental for the summer holidays. It is also good value for money. 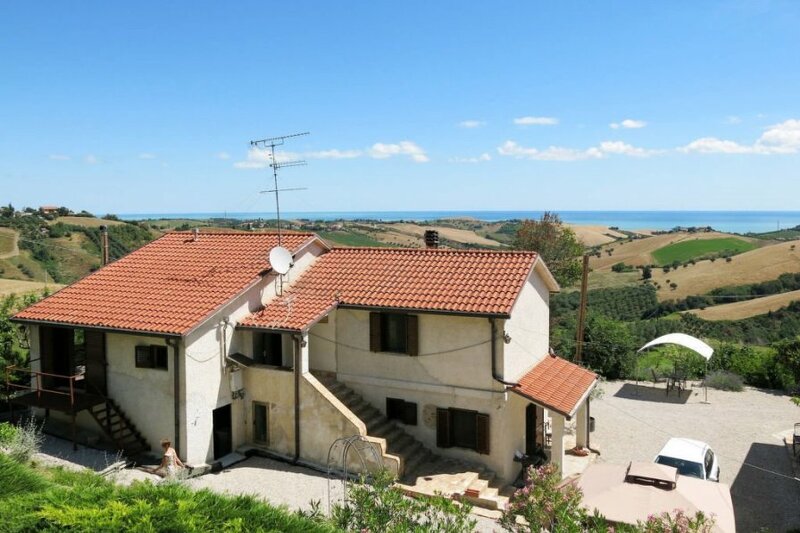 The villa has a private pool and is located in Roseto degli Abruzzi. The nearest airport is only 42km away. It is set in a convenient location, just 0 metres away from a beach and 8km away from the city center.